Nokia 8 is the Nokia flagship we've been waiting for years. 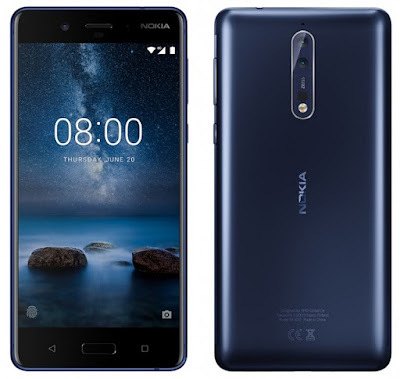 Nokia 8 is now officially released under its licensing company, HMD Global. This is the first time Nokia dropped a flagship handset after its comeback in the mobile arena. According to the company, the Nokia 8 is “designed with content creators in mind” which instantly hints that this release is a milestone for the brand. This release also staged the debut of its collaboration with ZEISS optics. The Nokia 8 is designed to have an aluminum unibody with metal backing that sports the Nokia branding. It comes with a 5.3-inch QHD LCD display which will definitely be accommodating to small hands. In its thickest point, the handset measures 7.9 mm. Under the hood, the Nokia 8 is powered by the fastest Qualcomm processor to date, the Snapdragon 835 which also powered the US version of the Galaxy S8/S8+ and the OnePlus 5. The processor is coupled by 4GB of RAM and 64GB of internal storage with up to 256GB expansion option via microSD card. The Nokia 8 got some new tricks on its sleeve, it intros the OZO Audio which combines three microphones with exclusive Nokia acoustic algorithms to capture audio with immersive 360° spatial surround sound. The new ZEISS optics is also one of the features that we want to test. It is comprised of 13MP primary camera with OIS and another 13MP secondary rear camera. It selfie shooter is also rated 13MP with f/2.0 lens and screen flash. Nokia 8 is also proud to boot with a pure stock Android experience. It also comes with a fingerprint sensor and will come with tailored accessories. It will be available in Polished Blue, Polished Copper, Tempered Blue and Steel this September at 599 euros.